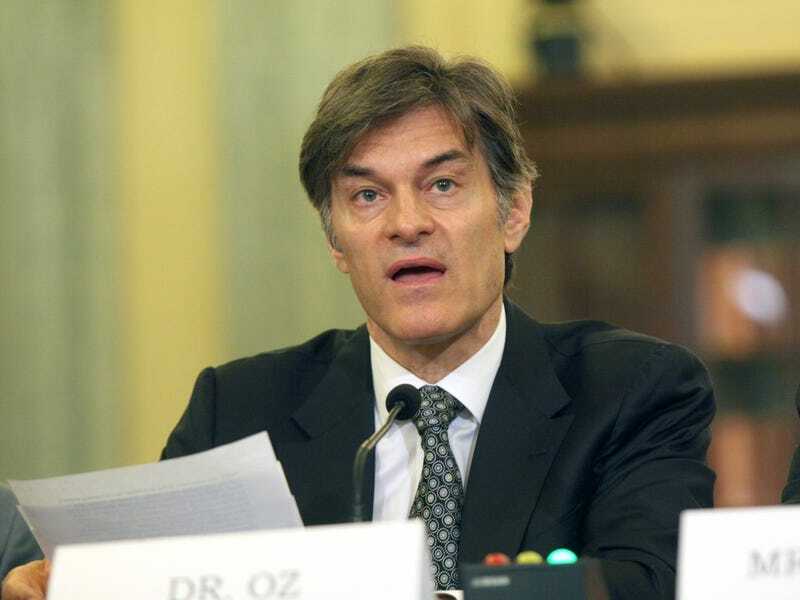 Time and again, we've seen that Dr. Oz peddles garbage cures. So it's no surprise that the government has gone after the company that makes one of his favorite supplements. Today the FTC announced that the people who promoted green coffee extract on his show are being fined $9 million. "Lindsey Duncan and his companies made millions by falsely claiming that green coffee bean supplements cause significant and rapid weight loss," Jessica Rich from the FTC said in a statement. Back in 2011 Duncan and his companies Pure Health and Genesis Today hired a PR firm to get their obscure diet pills in the public eye. That firm got Duncan on Dr. Oz's show in September of that year to promote their green coffee extract as an amazing weight loss supplement. He and other spokespeople would periodically appear on the show over the next two years. The claim? That viewers could lose 17 pounds in just 12 weeks without diet or exercise. The problem? Those claims weren't backed up by clinical trials. The lone study that might have backed up his claims was discredited as "seriously flawed" and the company behind it settled with the FTC back in September 2014. The really shady part was when Duncan and his companies paid other spokespeople to appear on Dr. Oz's show. Those people were presented as independent, impartial sources of information who were just trying to tell the world about this miracle weight loss system. You can read the entire complaint from the Federal Trade Commission at its website.